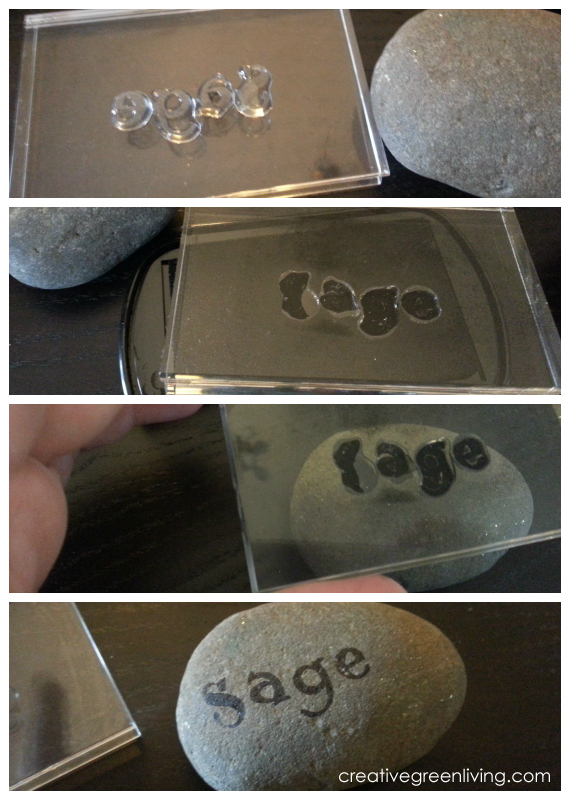 If you are looking for a creative way to paint rocks, you might want to try rock stamping! Painting rocks with stamps is a great way to get perfect rocks if your drawing and painting skills aren't quite up to snuff. 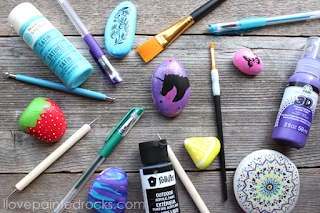 Stamping can also provide a plain background that you can use to paint your rock with a Posca pen so you can fill it in coloring book style. 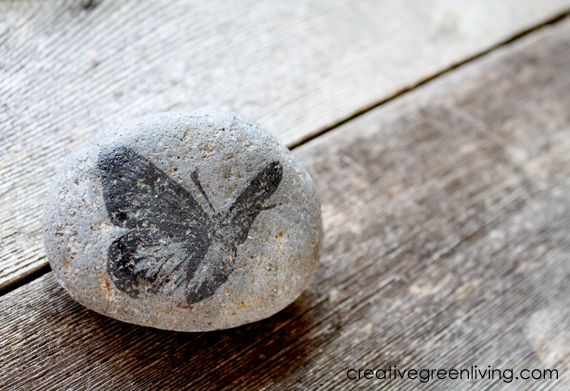 This rock painting idea is also perfect for creating plant marker style painted rocks without having to have perfect penmanship - the stamps will do the labeling for you! 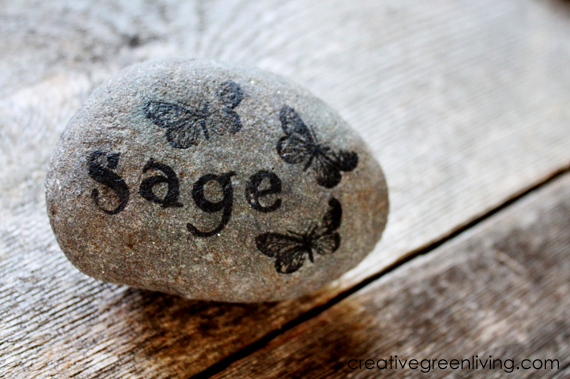 Stamp the names of the different kinds of herbs and vegetables you're growing onto rocks to help keep track of what you planted where. 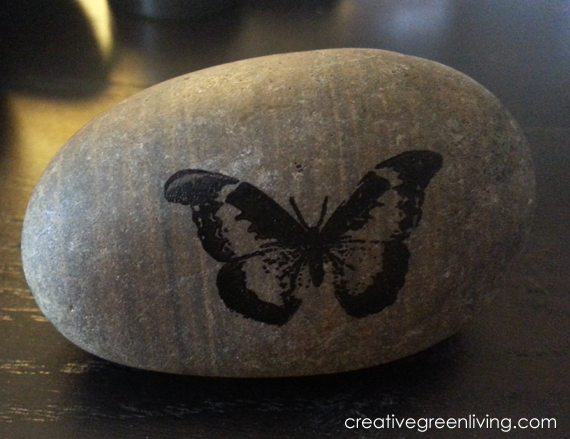 Of course, you can also paint your rocks with stamped images of butterflies, bugs, inspirational words and more! 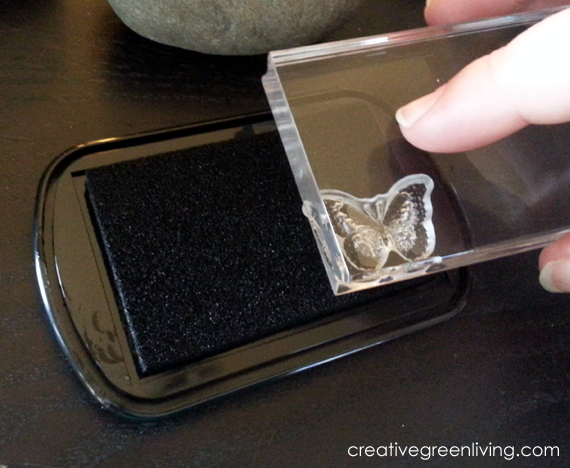 This project tutorial originally appeared on our sister site, Creative Green Living. As such, the watermark reflects the original site name on which is appeared. Select smooth stones that are an appropriate size for the stamps you'd like to use. 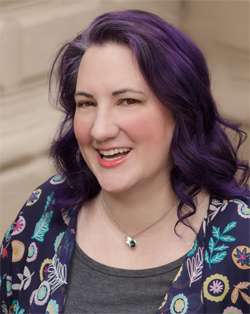 For best results, choose rocks that have very little texture in the stamped area. Peel your chosen stamp up from it's backing sheet and adhere to a clear handle. Holding the clear handle, pounce the stamp the ink pad until all the detail lines are well inked. Being careful not to touch the inked area, carefully peel the stamp off the handle and hold it with the sticky side resting on your fingers. Carefully line the inked side of your stamp up on your rock and press down firmly, contouring the stamp to the rock's curves as needed but without rocking. Gently lift up and admire your work. 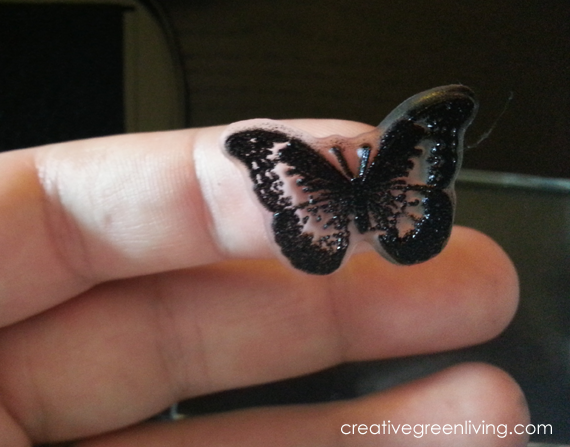 Some types of ink become permanent when heat set. Other types will need a waterproof sealer to keep the ink from running while out in the weather. Check the label of your ink for information on whether or not it can be heat set. If your ink is not a heat setting type, experiment with some of the different types of rock sealers to find one that works for you (light coats of spray sealer are probably your best bet). 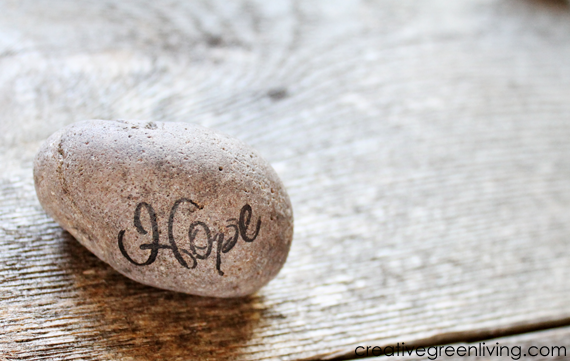 If you choose smooth, flat rocks for lettering, you can do lettering following a similar procedure as above but without removing the individual stamps from the handle. Simply line the letters up on the handle, ink and press.